Following the global riots of 2006 and a flare-up two years later, caricatures of Muhammad once again are stirring jihadist passions. Two Chicago-area Muslims were charged last October with planning terror strikes against those involved in the publication of the Danish Muhammad cartoons. New Year's Day then saw an attack on the home of Kurt Westergaard, creator of the infamous bomb-in-the-turban illustration. 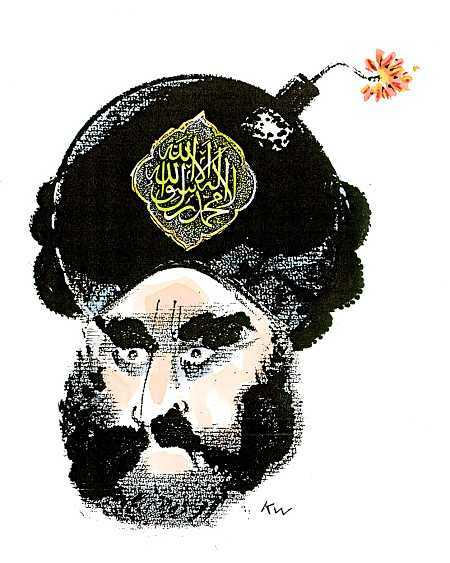 Earlier this month, Lars Vilks took his turn in the crosshairs, as arrests derailed a plot to murder the Swedish artist known for his crude sketches of Muhammad as a dog. To get a sense of what life is like for Vilks, consider that "his home in southern Sweden now contains a barbed-wire sculpture that could electrocute potential intruders, a secure space to hide in, and an axe which will allow him 'to chop down' anyone breaking in through his windows." In January, a Danish TV program's efforts to raise funds for Haiti hit a snag when auctioneers refused an utterly uncontroversial illustration donated by Westergaard. "We must recognize that the terror threat is still of such a character that we can't predict the consequences of a sale," the organization explained as it treated the artist as a pariah. 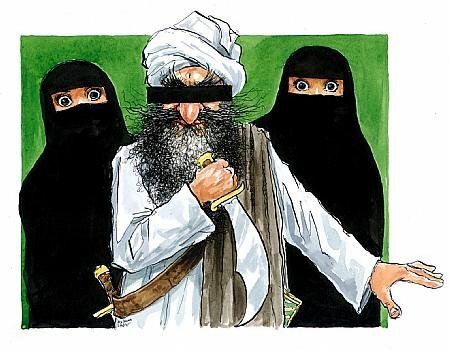 A month later, the Danish newspaper Politiken announced a settlement with 94,923 descendants of Muhammad, apologizing for any offense it had caused them by reprinting Westergaard's cartoon of their ancestor in 2008. Swedish papers are running Vilks' drawings in print, but not online, because this would "risk … separating the cartoon from the context. … That could upset people without a reason. Also, a picture published online would be much more widely disseminated." Campus officials are pressuring organizers of a March 30 talk by Robert Spencer at the Florida State University law school to remove a Muhammad cartoon from event fliers. Giving in to Islamist demands that we not criticize Islam or depict its prophet goes well beyond cartoons. Images of Muhammad quietly have been pulled from New York's Met, while a Dutch conference center canceled the launch of an anti-Islam book last month over safety concerns. Fear is natural. But uncontrolled fear leads to silence, which leads to inaction, which leads to surrender. Say what you will about Vilks' art, but the man fights on — booby traps and all.